Marlin F. Gehres, 97 of Wren, died at 3:50 a.m., Friday November 23, 2018 at the Van Wert Manor Assisted Living. He was born on June 6, 1921, in Van Wert County, the son of the late Otto and Iona Caroline (Kreischer) Gehres. He married Carolyn Rose (Poling) on June 20, 1948. Family survivors include his wife, Carolyn; two sons, Rev. Randall L. (Grace) Gehres of Orrville and Kevin B. (Carol) Gehres of Wren; one daughter, Lisa M. (Steven) Studenmund of Marysville, Ohio; two sisters, Martha E. Poling of Van Wert and Thelma Gehres of St. Joseph, Michigan; eleven grandchildren: Annaliese, Mark, Paul, Keith, Christiane, Jennifer, Amanda, Elizabeth, Matthew, Noah and Rachel; and six great grandchildren, Addison, Mason, Isaiah, Emma, Haley and Abigail. Marlin was preceded in death by his daughter Joyce Darlene Gehres; four brothers; Erwin, Albert, Floyd and Donald Gehres and two sisters; Elsie Gehres and Eileen Gehres. Marlin was a graduate of Wren High School and was a U.S. Army veteran of World War II serving in the Pacific Islands during 1942-1946. After the war he helped organize the 608-658 Medical Clearing Co. Reunion, serving as secretary/treasurer for over 50 years. He retired from the U. S. Postal System as Postmaster at Wren, Ohio in 1984. He was a lifetime farmer, owning and operating Wrendale Farm. 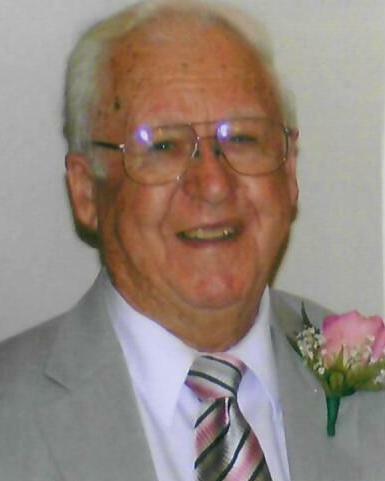 He was active member St. Paul’s Reformed Church in America, Harrison Township, having served on the church council, Sunday School Superintendent, teacher, and choir member for many years. Marlin was former member of the Board of Directors for Van Wert County Hospital, Farmers Mutual Insurance Company, Hope Homes, the Ohio Conference of the United Church of Christ and Wren Historical Society. He was a longtime volunteer firefighter and E.M.T. for the Village of Wren. Marlin was the first scout master in Wren and active in the Wren Lions Club. Funeral services will be at 10:30 a.m., Tuesday, November 27, at St. Paul’s Reformed Church in America, Harrison Township with Rev. Chad Strabbing officiating. Interment will follow at Evangelical Protestant Cemetery with military rites conducted by the combined honor guard of the American Legion and Veterans of Foreign Wars Posts of Van Wert. Calling hours are 4 - 7 p.m., Monday at Cowan & Son Funeral Home and one hour prior to services Tuesday at the Church. Memorial contributions may be made to St. Paul’s Reformed Church in America.